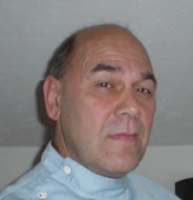 Jeremy Napier graduated from The Anglo European College of Chiropractic in 1978 and has been practicing as a full time Chiropractor ever since. Registered with PPP and BUPA. He was successfully treated by a Chiropractor at the age of 12 for a condition called spondylolisthesis and subsequent experiences at University to study Mechanical Engineering inspired him to train as a Chiropractor; a Mechanical Engineer for the body. He uses deep soft tissue techniques and diversified Chiropractic manipulation to treat a range of spinal and other joint problems. Low Back Pain; Sciatica; Joint Pains; Foot Ankle disorders; Knee Hip pain; Sports injuries; Chronic pain; Shoulder Arm pain; Headache / Migraine; Dizziness; Unsteadiness; Gait analysis; Deep Superficial Soft Tissue Work; Osteoarthrosis; Manipulation; Muscle Pains; Referred Pain.